Using the latest Laravel PHP framework, we create fully functional web applications. From small sites to massive applications, our Laravel development covers it all. 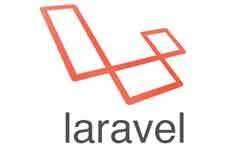 Laravel is a PHP based web application framework popular among developers for its expressive and elegant syntax and ease of development process. Laravel keeps the source code organized and has a large open source community to provide online support. With several key features and in-built templates, the framework enable developers to create fully functional web applications. Acclaimed as the most popular PHP framework of 2013, followed by Phalcon, Symfony2, CodeIgniter and others. If compared to other frameworks, Laravel is distinct in many ways. The framework has been developed around a code syntax that's simple and expressive. For the developers, this PHP framework offers a web development architecture which is developer friendly and offers code that is maintainable. For competent web developers, Laravel is packed with key features that give it an upper hand over the existing PHP frameworks. By leveraging its superb inversion of control container, expressive migration system, and tightly integrated unit testing support, we have successfully developed applications tailored to the clients' needs. We have been in the business of Laravel web development ever since it made to the market. So far, we have developed 100+ applications using powerful Laravel tools. For our developers, working on this framework has always been a pleasing experience. Still have queries? Call us now on 0120-6790400 to get in touch with our Core Development Team. They will tell you about our exclusive Laravel Development plans made specially for the businesses like you.